Planet Core | Signals.of.the.Phuture - DE 2007 303 Nation - 6 Tracker e.p. DE 2007 303 Nation - 6 Tracker e.p. This record was re-released in 1995 by Planet Core Productions in coöperation with The Forbidden Planet. The latter is now a defunct Dutch recordlabel & recordshop. There are about 200 copies pressed. The difference with the original DE 2007 release is that this has a different label with no tracklisting, but instead the logo from the Forbidden Planet label/shop. 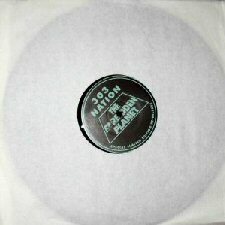 Comes in a standard Dance Ecstasy 2001 sleeve without a sticker!.